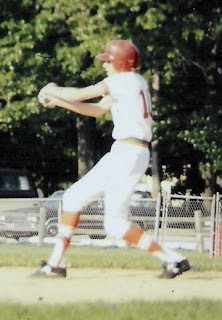 Jeff's Family Adventure Files: I am like Alex Rodriguez, baseball superstar! I am like Alex Rodriguez, baseball superstar! Alex Rodriguez is one of baseball's brightest superstars (I am not). He plays for the New York Yankees (I do not). But I found something in common with him. "Far more interesting is the manager's assessment that Rodriguez could not succeed as a team player because he is unwilling to fail. "There's a certain free fall you have to go through," Torre says, "when you commit yourself without a guarantee that it's always going to be good. There's a sort of trust, a trust and commitment thing that has to allow yourself to fail. Allow yourself to be embarrassed. Allow yourself to be vulnerable. And sometimes players aren't willing to do that. "That's the key to Jeter, who has always done anything to help the team. As for Rodriguez, Torre notes, "When it comes to a key situation, . . . he can't get himself to concern himself with getting the job done, instead of how it looks. "That's a pretty damning statement, but there's nothing personal about it; it's observable, quantifiable, as any Yankee fan knows. "Rodriguez," the authors write, "was conspicuous by the awesome disparity between his skills and his ability to use them in the clutch. Rodriguez hit .245 in the postseason as a Yankee, or 61 points worse than his career average. 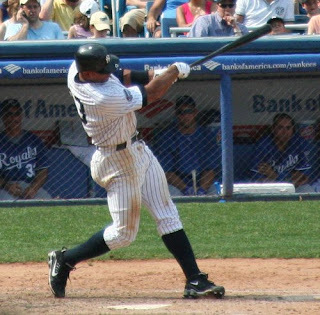 From the fifth inning of Game 4 of the 2004 [American League Championship Series] -- the onset of the dynasty's demise -- through 2008, Rodriguez hit .136 in 59 postseason at-bats. "Compare this with what Torre and Verducci cite as "the quintessential championship Yankees at-bat": O'Neill's 10-pitch walk in the bottom of the ninth inning of Game 1 of the 2000 World Series against the Mets. The Yankees were down to their last two outs, but O'Neill refused to give in, working the count, fouling off pitches, driven by a "desperation to win. "It's still the greatest single at-bat I've ever seen, one that, as Torre remembers, "set the tone for the series. . . . It was just a dare: 'You can't get me out.' It was the loudest walk you've ever experienced." Go back and re-read the 2nd paragraph of the quote. The point is that success comes from taking a risk and being willing to do what needs to be done to win. And if winning isn't possible, then allowing defeat. Taking a chance but failing is leadership, failing because of not taking the chance to begin with is not leadership. Unfortunately, I see the similarity between Alex Rodriguez and me: This month our family has a winning housing deal that is huge for us, and huge for the departing (relocating) family (also valued friends of ours). But, the risk is huge. What if my job fails because the business doesn't continue? What if I can't keep my financial promises? What will my friends think? What will my family think? Darling bride tells me that there are no guarantees. That is correct. I don't know what's going to happen tomorrow, no matter which house we live in. I have been given the responsibility to lead my family. This is the time for me to trust and commit, drive myself to win, and allow myself to fail, be embarrassed, and vulnerable if that be God's will. Less than 4 weeks until the big move!